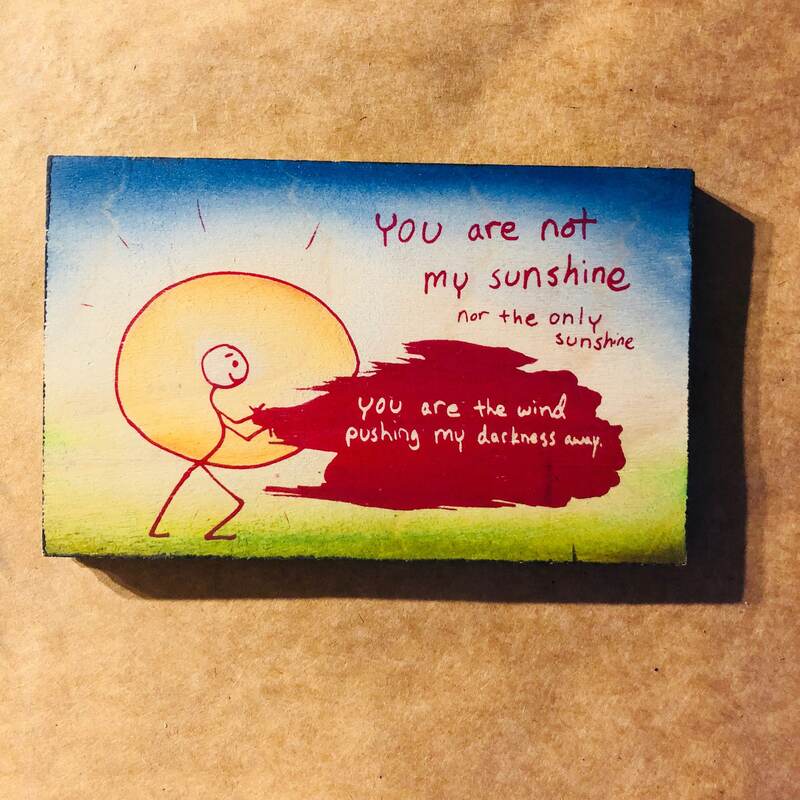 "You are not my sunshine nor the only sunshine. You are the wind pushing my darkness away." Silkscreened and handpainted on wood. Comes ready to hang approximately 4x6 inches.